Another powerful magnitude 6.5 quake, reduced to a 6.3 by USGS has struck the remote highlands of Papua New Guinea early on Saturday, the European earthquake monitoring service reported. The very shallow quake was only two km (1.2 miles) deep and 93 km (58 miles) southwest of Porgera in the Enga province, said the EMSC. 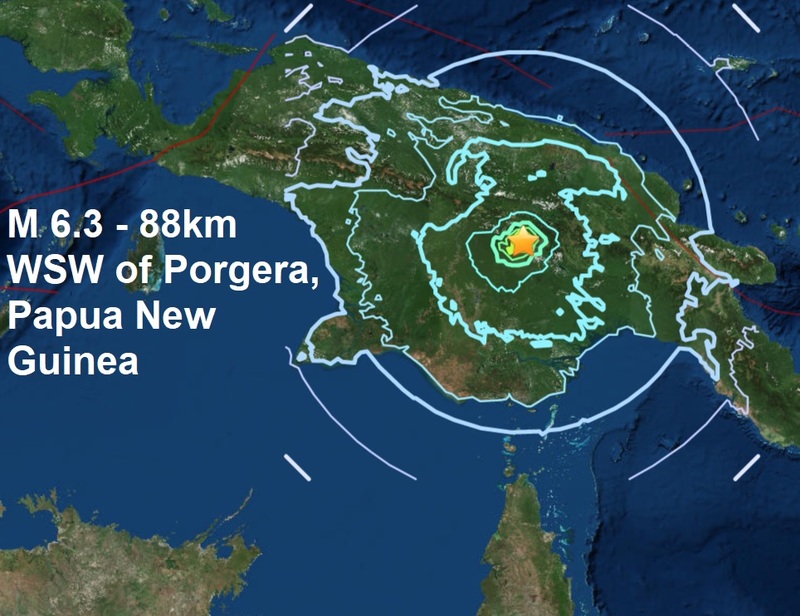 Quakes are common in Papua New Guinea, which sits on the Pacific’s “Ring of Fire”, a hotspot for seismic activity due to friction between tectonic plates. Incredibly of the 34 major quakes to strike the planet this year 13 of them have happened on or around Papua New Guinea. Today's two major quake is the 3rd of April and brought the total for the year to 34. Of the 34 major quakes reported this year, 33 of them have occurred during coronal activity on the sun, see picture below. 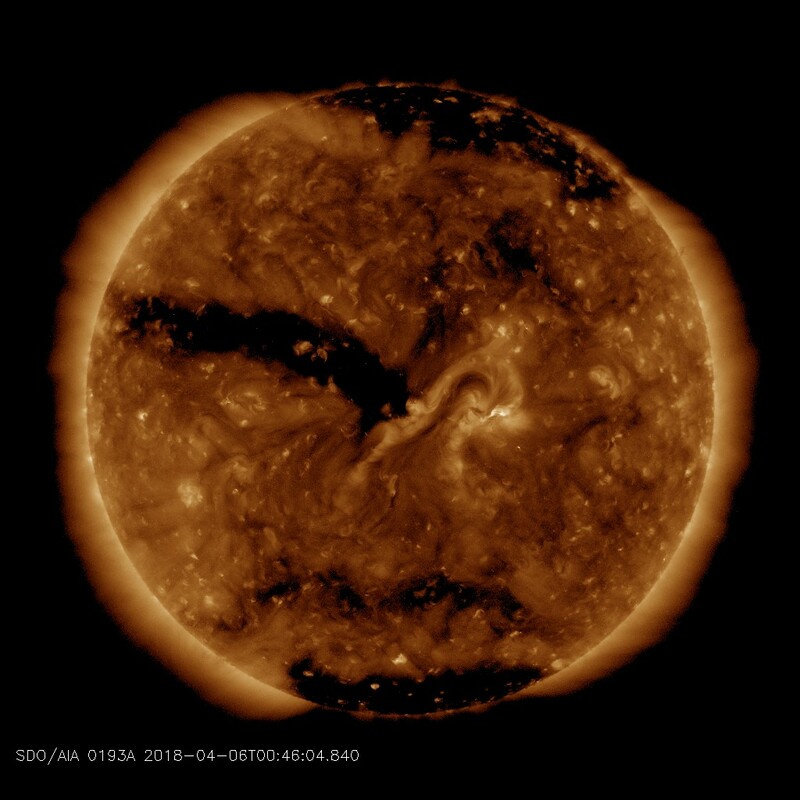 After a two-week transit around the far-side of the Sun, a giant hole has reemerged over the sun's eastern limb set to bring spectacular auroras and put the planet on major quake watch. The canyon-shaped hole is remarkably wide, stretching more than 700,000 km from end to end. As a result, Earth could be under the influence of its gaseous emissions for days.